A figure painter and draughtsman, Herman studied at the Warsaw School of Art 1930–2. In 1935, he founded the Phrygian Bonnet Group with of Siegmunt Bobovsky. His first exhibition was held at the Lefevre Gallery with L.S. Lowry in 1943. 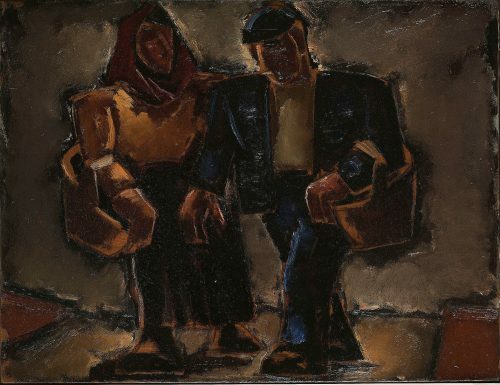 A member of the London Group (1952), Herman had his first major retrospective exhibition at the Whitechapel Art Gallery in 1956. In 1981 he was awarded an OBE for services to British Art and was elected to the Royal Academy of Arts in 1990. 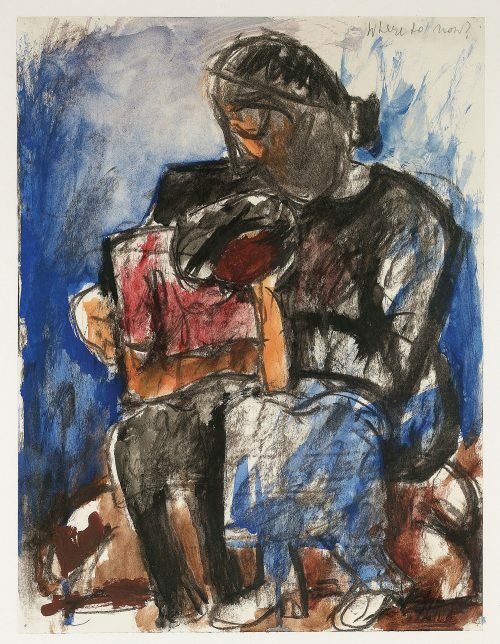 Works by Josef Herman, O.B.E., R.A.